We’ve looked in detail at these threats in other posts, but the most important thing is to spend some time researching your options and making sure you have a solution in place as soon as possible, so you’re protecting your data. The price of IT backup and disaster recovery software and support can vary, so we’ve put together a list of things to think about while you’re looking at potential partners. How much data you have: This follows on from the first point. It’s reasonable to assume that the more staff you have, the more data you’ll be storing. However, even small companies can hold a lot of information or use a range of specific software, so take that into consideration. How you’ll back up or store data: Where do you currently back up your data, or are you considering a new method? You need to consider the options of cloud storage, offsite in a data storage centre or on your premises. Also, think about how often you want to back up information – this is important if you want things back to normal quickly. How much client data you have: As well as your own business information, you may have access to client data too. While the new GDPR legislation means you may not store it for long, you don’t want a data breach to impact your clients, so think about how to keep it safe. What your priorities are: Do you want a solution that can spot and prevent a disaster where possible? 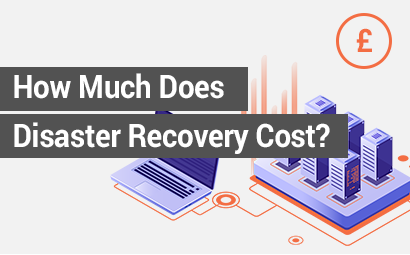 How quickly do you need a data restore and how important is it to maintain ‘business as usual’ in the event of a disaster? Again, consider what obligations you may have to clients, either in terms of protecting and restoring their data, or keeping them in the loop about any problems you’re having. Don’t forget, you will almost certainly have a legal obligation too. 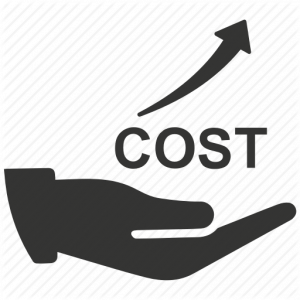 The costs to your business: To help you understand why IT backup and disaster recovery is vital for your company, we talk about a recovery point objective (RPO), which is the maximum amount of data you could lose without an impact on your business, and the RTO (recovery time objective), which is the maximum time you can afford to spend on getting back to normal. You can use our online tool to help you make an actual calculation, and it’s really beneficial to be familiar with these numbers. Companies can and do go out of business from a disaster damaging their daily work and impacting on their profits. If you don’t have a support solution in place before a data breach or disaster, you’ll need to pay someone to fix the problem after the event, and they may charge you a premium to get you back up and running. A search online brings up a range of prices, but expect to pay between £195 and £295 for restoring data on a smartphone, and from £350 to £600 for a hard drive. Depending on the complexity of the issue, how quickly you need the data restored or how much information is lost, you could be paying a lot more. On the other hand, if you’re proactive and get a back-up and recovery solution in place straight away, not only will you be spared the stress and expense of paying for a fix, you’ll have peace of mind from knowing you’re protected (although hopefully, you won’t need it). Once you’ve worked out exactly what you need, your IT support partner will work with you to give you the right solution. They will give you at least two options, with one cheaper than the other, and usually with fewer features. You may see package prices per month, device or user, and these may be from as little as £5 or £8, or up to several thousand, depending on requirements. For more information on how to protect your business in case something goes wrong, download our Disaster Survival Guide. RTO vs RPO: What's the difference?